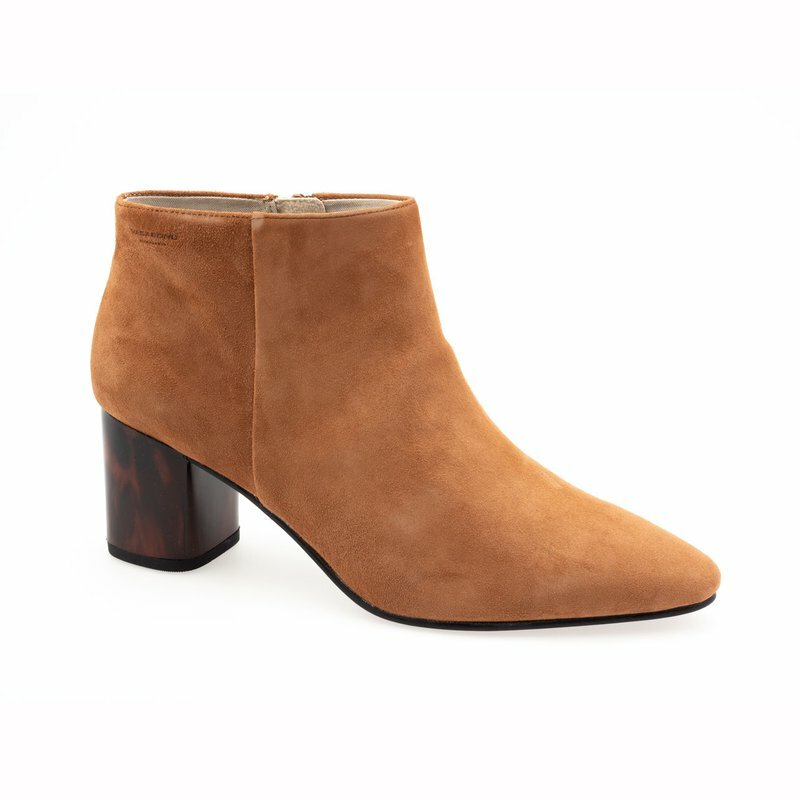 Ankle high boots with a prominent tortoise heel is the latest addition to popular group Eve. The sleek upper meets the contrasting chunky heel for a contemporary look. Crafted from soft nougat coloured suede.